It’s been too long since my last post. December was extremely busy for me, between preparing for my theater company’s performance, preparing to eat without a car and mainly in a hotel room during my performance week and traveling. January was quick on its heels of course, and I’ve been hard at work on my resolution to get back into regular meal planning. I really was in a groove this summer – mainly out of necessity. 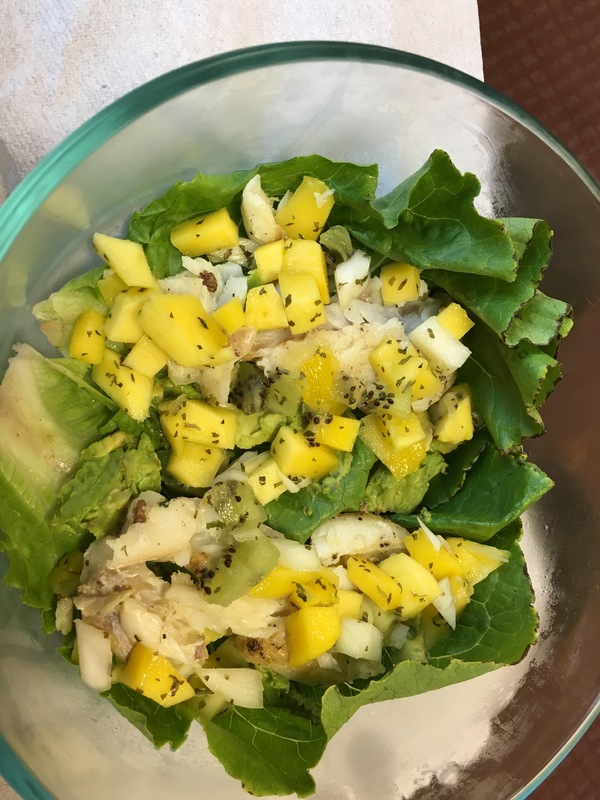 I generally had to eat both lunch and dinner on the go, so I carried a cooler and got creative, even planning the themes of my meals to match what I’d be facing as I attended a company dinner at the theater company I was employed at. Turning down sugar and delicious free food was much easier when I had amazing meals on hand for myself. Somehow, in the last couple of months, I had gotten into a rut. 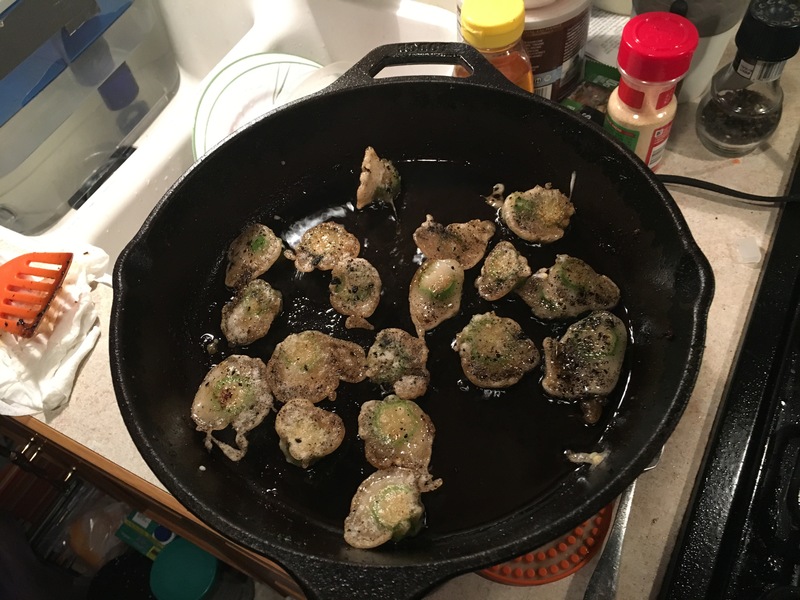 I knew what foods were easy to travel with and I seemed to just stick with them. But one of the perils of eating a limited diet is that if you eat it too much, you can actually become intolerant to the food. So partly out of fear and partly out of boredom, I have vowed to change things up this year. I’m happy to say I’m doing much better with variety. 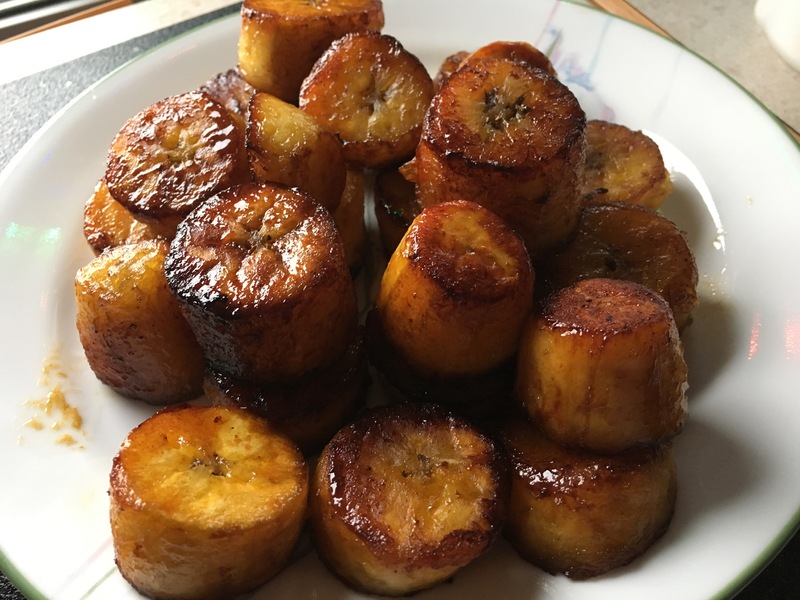 I’ve been trying new starches – plantains are AMAZING and really cheap in the southern United States, and my husband is a pro at cooking them. I’ve also dabbled with white sweet potato (it was fun as a baked potato, if a little too sweet, so I will be trying baked goods next). I’ve had cabbage, acorn squash and spaghetti squash within the last month, and I made my favorite, Nomato sauce, to enjoy with spaghetti squash and ground beef. Oh, and how could I forget – I made liver. Beef liver. And I ate it! I’ve also made sure to eat a variety of greens instead of just my go-to, spinach. Ross even fried up some okra for us! Of all of my culinary adventures, my favorite has been making “pizza”! 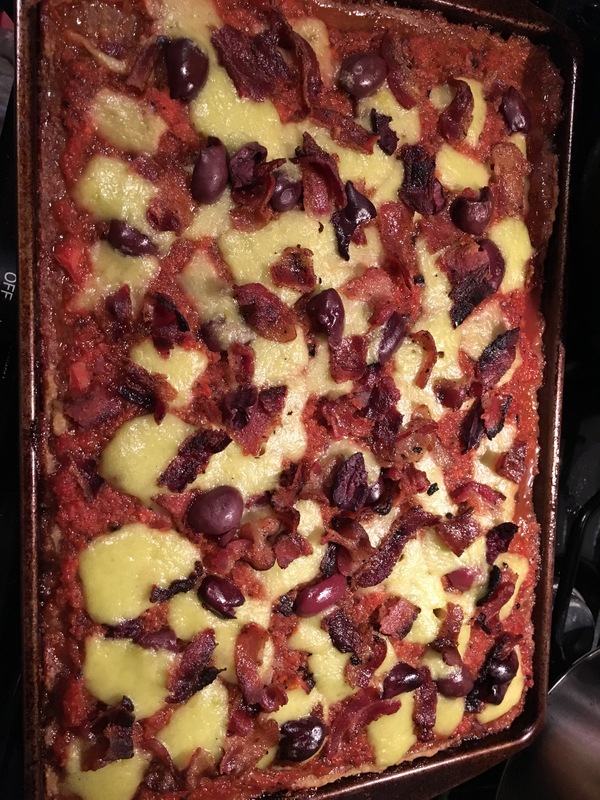 I used a plantain pizza crust, zucchini cheese (another first for me), Nomato sauce and topped it with bacon and black olives. Although it wasn’t quite like pizza, it was incredibly satisfying and surprisingly filling too. We all get into ruts with our health. Whether your exercise routine needs a shake up (mine is going great, with daily walks and weight training) or your meal plans need a few new recipes, making a commitment to yourself and your health is a fantastic way to improve your health and your outlook on life. Best of luck to you on your own journeys. And let me know if you have a resolution for this year!